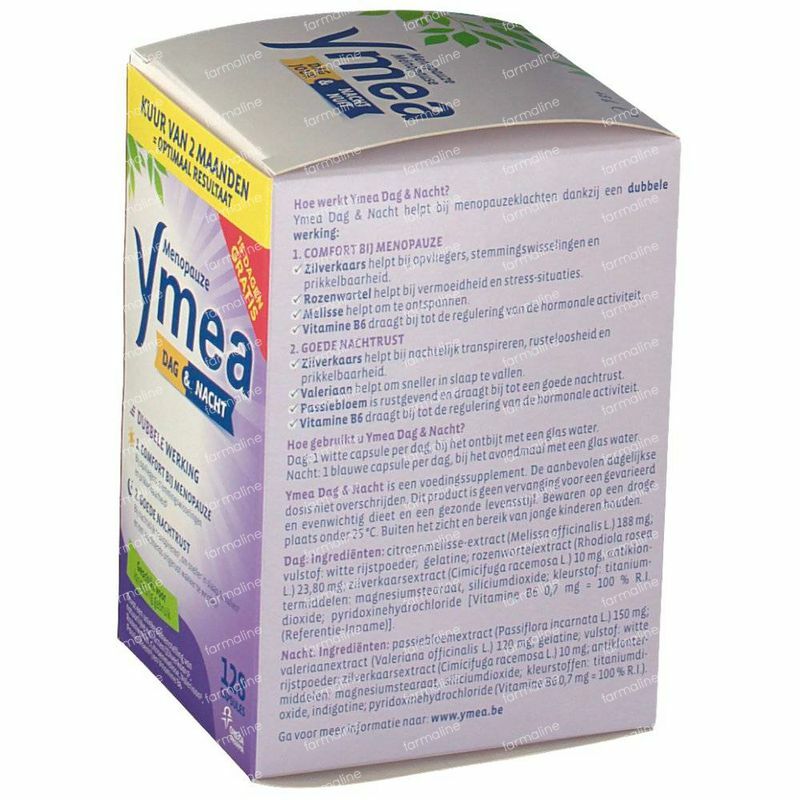 Ymea Day And Night Duo 2x64 capsules order online. Ymea Day & Night is a new formula that has separate capsules for day and night. Daytime Ymea Day & Night helps with hot flashes, mood swings and tiredness and at night with night sweats and sleeping well. 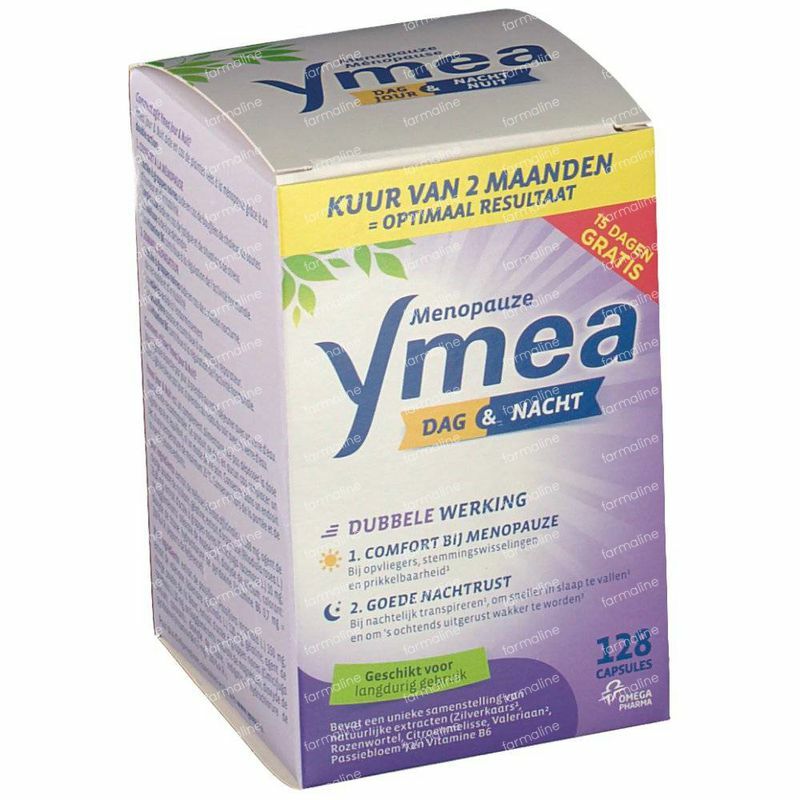 Ymea Day & Night is a natural remedy that helps menopausal symptoms and for good sleeping. The ingredients of Ymea day & night Vitex agnus-cactus are yam, hop and extract in the Vitex agnus-daycapsule and balm, hops, cactus extract and melatonin capsule at night. So on one hand and on the other hand, it helps with typical transitional phenomena at a good night's rest. Ymea day & night is a fytoproduct. To be used as the active plant extracts, fytoproducten substances that are not diluted. 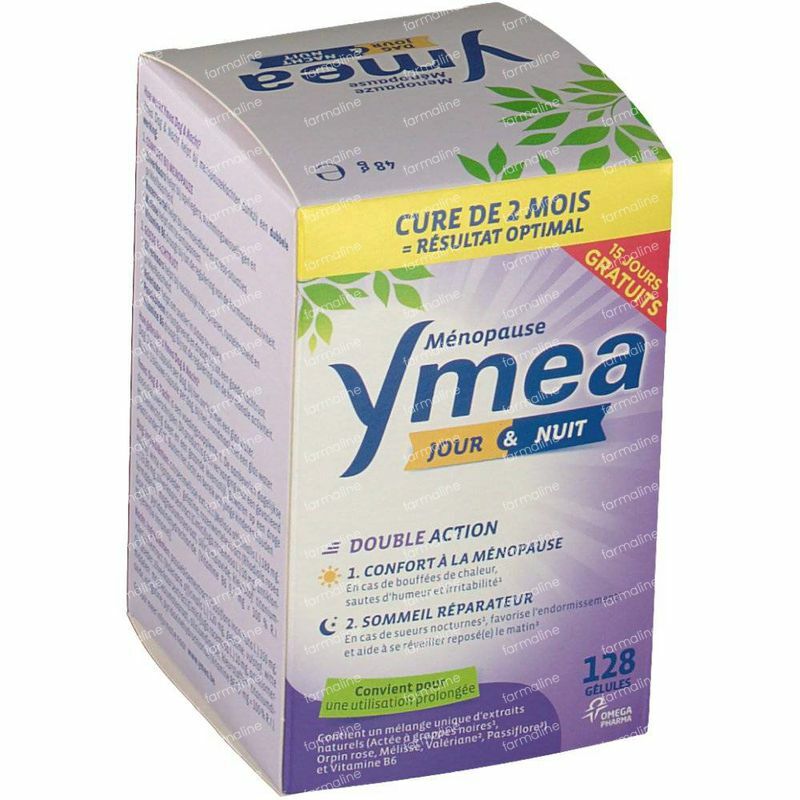 Ymea Day & Night is a natural product that relieves complaints during menopause and provides a good night's rest. Take one white day capsule in the morning after breakfast and one blue nightcapsule before going to sleep with water. Do not exceed the recommended dose. 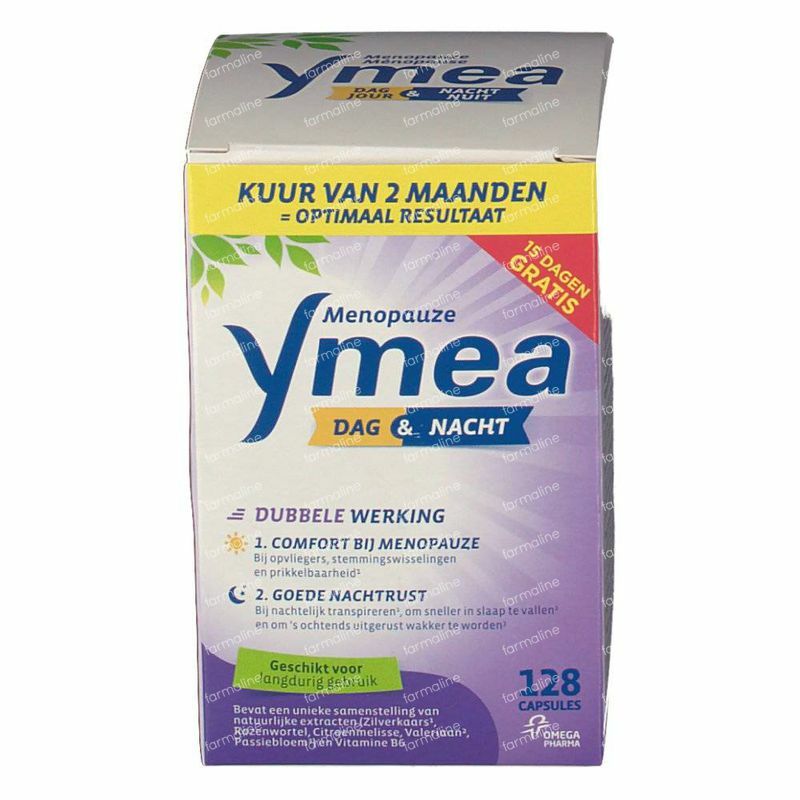 Ymea Day & Night is a nautral product that can be used throughout the whole menopause. Cimicifuga Racemosa extract, Melissa extract, Rose root extract, Valerian extract, Passion flower extract, Vitamin 6.